Often homeowners take their roof for granted. The only time that the homeowner truly sees its imperfections is when it starts to fail and water starts dripping through the ceilings. As time passes the roofs structure and materials become weaker. When putting on a new roof there is a vast range of things to think about. Personal taste, particular weather conditions within the area and most importantly budget will all affect the choice of roofing. Functionality comes low on the list of homeowners priorities, most choose a roof because of personal taste and budget. Some roofing choices are just too unrealistic for the application and weathering factors, so homeowners may have to vary their original choices. Salesmen sometimes try to make the best sale that they can and will from time to time misinform homeowners. Wooden shakes are available on the market and give a natural feel. A wooden shingle that is made from split logs is called a shake. Shakes are fairly dear and change in colour over the years from light brown to soft grey but involve high maintenance to achieve both aesthetics and functionality. Wooden shakes can last a lifetime with regular maintenance, although they ought be treated to become fireproof. Slates are also a reliable roofing material to use. Slates are very sturdy and will last a generation, nevertheless they can be very heavy and could demand extra expensive support. Slate is fire resistant and has an extremely low water absorption index. It is extremely resistant to frost damage and breakage due to freezing because of its low tendency to absorb water. 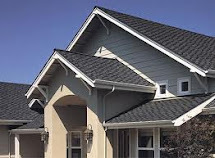 If you ask any roofing company they will inform you that asphalt shingles is the most widely used choice of roofing. Asphalt shingles are covered in granules and either has a rustic or smooth look to them. Asphalt shingles are low-priced and very straight forward to mend, but do not necessarily meet the homeowners aesthetic standards. Tile roofing is enormously popular, with either clay or plastic finishes. 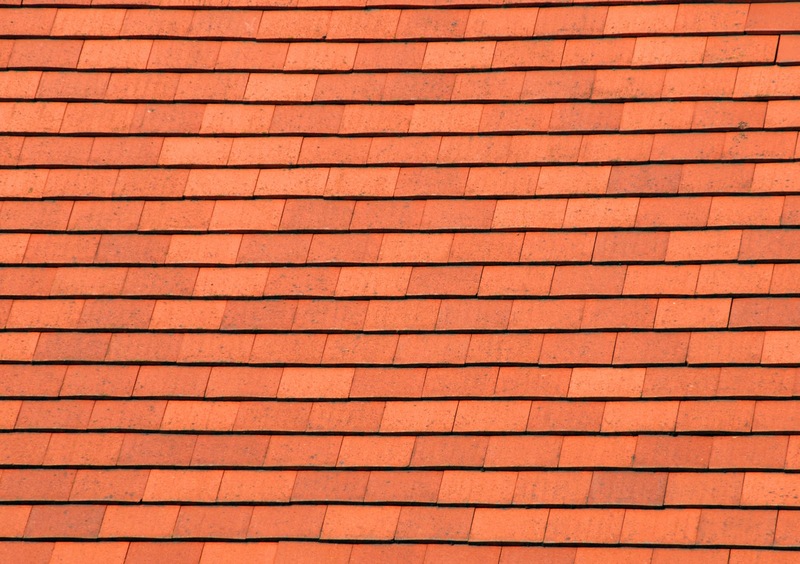 Roofing tiles are so popular because they are practically maintenance-free. 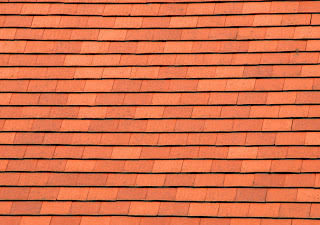 Both clay roof tiles and concrete tiles normally last a lifetime, and with hard-wearing and fireproof qualities they are a popular roofing material. Clay is so versatile and handmade clay roof tiles give a look and effect to your property that cannot be copied with any other roofing product. They come in all sorts of sizes, colours and shapes which make them tricky to install, hence it is wise to take advice from professionals. There is a vast range of roofing products out on the market today, and before rushing off and applying them, it is wise to research the advantages and drawbacks in order to make the right decision first time. Homeowners make the mistake that budget comes before any other decision, but if the roofing does not match the look and feel of the home then perhaps the decision was taken too lightly. 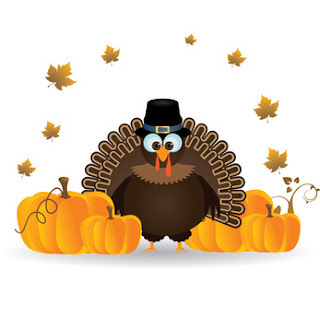 Above All Roofing Would Like To Wish You A Very Safe And Happy Thanksgiving!! There are many roofing insulation materials that you can use for your home. There are materials that are eco-friendly while there are ones that are expensive. 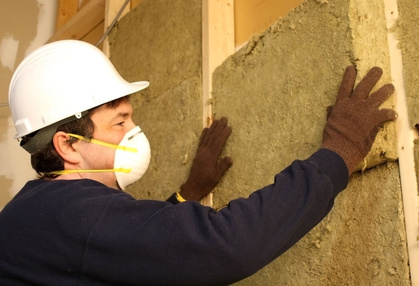 Insulation is very important especially during summer and winter season as it could lessen and hold up the heat. If you do not know which ones you can use, you will be surprised at many options that are at your disposal. Below are some of the alternatives that you can use. • Fiberglass batts - this material insulates your home quite well. It is the customary material that is used in older homes. However, this is not that eco-friendly as there are carcinogenic substances that are present in it. It has formaldehyde that is deemed toxic by the health experts. It will be detrimental for your health in the near future as you use it. • Cellulose fiber - this is recycled materials made from old newspapers. Cellulose fibers are more expensive than fiberglass batts but it can further insulate your roof. This type of roofing insulation is blown into the area using a compressor. Normally, it would be treated first with boric acid. This is an environment-friendly way to make it resistant from fire and mildew. In addition, it has the capability to reduce the sounds outside your home. It also serves as vermin repellant as well. • Sheep's wool - this may be one of the most effective roofing insulation options. One of the natural advantages of the sheep's wool is that it is flame retardant. In addition, it is moisture repellant. It lasts longer as it can be used for a few times. It can be composted as well so it is very eco-friendly. However, this is very expensive and might make a dent in your budget. • Soy insulation - this type is one more earth-friendly alternative. It is made out of soybean oil. It is very easy to apply too. All you have to do is to spray it all on the roofing area especially in the parts that have cracks. It will fill in the cracks and when it hardens, it will also serve as a sealant. It is also resistant to flame and lengthens the life of your roof. • Spray foam - as the term suggests, it is applied through spraying the foam from the nozzle. There are chemicals used in the materials such as phenolic, polyurethane and cementitious. Like soy insulation, it will also fill in the gaps in the cracks of your roof; thus, making your roof last longer. In addition, if there are no gaps, there will be no air leaks and the heat cannot escape during winter, preventing heat loss to your home. The temperature inside your home will be stabilized because of it. However, it will cost you big. • Blankets and rolls - these materials are the traditional ways to insulate your roof. The materials will be spread out to the rafters. Of course, it needs to be attached as well. More often than not, the materials that are used in this option include fiberglass, natural fibers and wool. This roofing insulation solution can be effective in insulating your home but it may not be that useful with blocking radiant heat that the sun will emit. • Radiant barrier foil - this solution may be the best alternative that you can have. It is attached to the rafter as well just like blankets and rolls. It can also be placed over an existing insulation so you do not have to exert unnecessary efforts to detach it. This material has the ability to reflect almost 100% radiant heat. It can store up heat that you can use during winter season and can block it during summer. In addition, this is very affordable. The only trouble that it could bring you is that it cannot insulate conductive heat. • Radiant barrier paint - this functions very much the same with the barrier foil. It is also very efficient in reflecting radiant heat especially in the attic. But you cannot roll it out or staple it. Rather, it has to be painted. You might need to hire certified people to do the job for you so that it can be very effective. In addition, it is not as effective as foil so the amount of the reflected heat is decreased. These are just some of the roofing insulation materials that you can use in providing padding in your roof. Choose the one that can give you the best value out of your money. When it comes to getting your roofing questions answered, nothing beats turning to the experts. ...You don't want to spend it on consultation after consultation! Let's face it: you need a resource that answers the most common roofing questions with no strings attached. You need a resource that won't charge you for asking questions about your roof. And you need to find the answers so you can start that roofing project now. Consider today your lucky day - because you've just found that resource for all of your common roofing questions! • Can My Roof Be Repaired? No matter what problem your roof is experiencing, the answer is almost always yes. Whether you need new shingles or your roof has sprung a leak, an experienced contractor can make your roof look like new again. And if your roof can't be repaired, your contractor can provide you with a roof replacement. 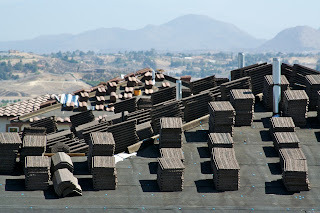 • How Much Does it Cost for a Roof Replacement? The answer will always depend on the roofing contractor who's providing the service. As a general guideline, replacing a roof on a home can cost anywhere between $10K and $25K; however, this is a smart long-term investment, as your new roof should last for upwards of 20 years. Be sure to ask your roofing contractors if they have any warranties for their roofs. • Should I Have my Chimney Looked at When I Get Roof Repairs? Yes. Having your chimney looked at will help prevent any major damage from occurring down the road, as discoloration and rusting from the chimney can turn your roof into a nightmare. • How Long Does It Take to Replace My Roof? Again, this depends on the roofing contractor or company in question, not to mention the size of your home. As a rule, most contractors can build up to 1,500 square feet per day. However, weather will play a significant role in the progress of your roof replacement, as rain or snow can severely delay work. • How to Choose a Good Roofer. If you're ready to choose a good roofer, then it's important to take the time to review that roofer's customer history. Do they have a long history of satisfying their clients? Have they worked on homes like yours before? Are they a well-known name in your area? The more you dig up about your potential roofing company, the more you'll know about how they approach their projects. So don't be afraid to ask previous clients for their opinions - it just might help you choose a good roofer! Now that you've discovered the answers to these common roofing questions, isn't it time you made your home look like new again with a strong and flawless roof? Are Roof Shingles Suitable For All Roofs? Durability of the tiles is one of the most important aspects of roofing material and a lot of this will depend on the climate of your locale. Certain materials will hold up better in certain climates. You need to be aware of this and talk accordingly to the contractor who is overseeing the construction of this project. Fiberglass based roofing tiles are the more popular item nowadays. These consist of a mixture of fiberglass and asphalt compounds. These shingles work well in wet areas, or places that experience a lot of snow and changing climates. Their chemical makeup gives them a better resistance to erosion. Erosion occurs with all roofing materials however, as it causes the protective oils to soften and become gradually washed away by rainfall. In asphalt shingles this caused shrinkage, however this is a slow process and happens over a considerably long time. Whereas wood shingles when experiencing the loss of these oils will rot away-in a quicker amount of time. You and your family are sitting in the living room next to the fireplace, keeping safe and warm during a horrific thunderstorm outside. All of you are relaxing and enjoying the time together, when all of a sudden you hear a dripping noise coming from a nearby room. Your heart sinks a little bit because you just moved into your new home a few months ago. So what do you do now? What do you do when you, indeed, have a leaky roof? Well, there are a few things you can do when you realize that your roof has a leak. We all know that you want your home to be safe from Mother Nature's elements, especially when that big thunderstorm arrives. No homeowner wants to hear that dreadful dripping sound coming from your ceiling. The first thing to do is to go to the area where you hear the dripping sound, and locate the exact location of the drip. If it is not dripping at a quick rate, this step may require you to have some patience! After you locate the leak, you should clean up the water that is on the floor and the surrounding areas. Once the area is as dry as possible, place a bucket underneath the drip and the leak so that the water can go inside of it. Also, it is a good idea to put a towel down on the floor underneath the bucket. This will ensure that when the water drip into the bucket and gets full, that it won't splash onto the surrounding areas (which may cause additional water damage). Once you know that the water is dripping into the bucket, you should call a professional roofing contractor. Ask them to come to your home as soon as possible because you suspect a roof leak. When they come to your home, they will complete a thorough inspection to determine the source of the leak, why it is leaking, and, most importantly, how to fix it. Lastly, the roofing contractor will repair your roof (or replace it if there is extensive damage) so that you and your family can continue being dry and worry-free before the next thunderstorm hits. It is very important to follow these steps immediately after suspecting a leaky roof. Acting on it immediately will prevent extensive water damage and further damage to your roof and ceiling, too. 1. What should I look for when selecting a roofing contractor? 2. How much roof maintenance is needed after installation? For instance, asphalt shingles and wood shakes and shingles need to be maintained by routinely cleaning out gutters and trimming back tree branches. Replacing damaged shingles and keeping moss or algae off of the roof are ways to ensure longevity. 3. How much does a new roof cost? 4. How long does it take to replace a roof? 5. How should I prepare for the installation of my new roof? There are a few things you should do before the installation process begins. Since hammering can cause vibrations inside your home, take loose items off of your walls and shelves. You should also make sure your driveway and surrounding area is clear so the workers have space to move materials directly to your roof. It is a good idea to park on the side of the road instead of your driveway. Make sure you can provide electrical power outside. In any case, contact the installers if you have any questions. 6. How long will my roof last? Roofing, like any other material, is likely to deteriorate with time. A new roof can last anywhere from 10 to 40 years, although 20 years is the average. You can lengthen the life of your roof by choosing the right contractor for the original installation and keeping up with any maintenance requirements. Even if you follow these recommendations, there are factors you can't control such as weather elements. 7. When is the best time of year to install a roof? 8. How do I know when my current roof needs to be replaced? Water and time are the most damaging forces that mother nature can throw at any home. If preventative measures are not taken to curb the damaging effects that rain, snow, and ice cause, a home owner's biggest investment will become the biggest liability and expense. Chances of wood rot, mold, fungus, and insect infestations are greatly increased each and every time the home's exterior siding, soffits, and fascia become saturated with moisture. One of the least expensive and easiest upgrades to add to a home to prevent or greatly reduce the damaging effects of rain, snow, and ice build up are rain gutters. The whole purpose of gutters, that are properly sloped, are to channel excess amounts of water away from the roof edge and siding and into a downspout that delivers the water a sufficient distance away from the foundation and driveway. By channelling excess water away from the structure's foundation, a homeowner is eliminating the chance for standing water to collect at the base of the foundation. Should the ground slope permit the discharged water to flow back towards the foundation and collect at the base, then this is cause for serious concern and an entirely different problem. Without gutters installed at the base of a sloped roof, there is no way to prevent rain, snow, and melting ice from dripping from the roof edge. When the water lands, it will create a mild trough like depression along the entire length of the roof edge. Even minimal amounts of rain and water will begin to collect in the trough-like depression. When this happens, splashing from continuous falling rain will hit the siding at the base of the exterior wall. Over a relatively short time of two or three years, wood rot and fungus will begin the rapid process of wood decay. Newer construction initially stands a much better chance of minimizing this process due to newer materials that are better resistant to rot and fungus, however, this issue left unaddressed will quickly degrade. 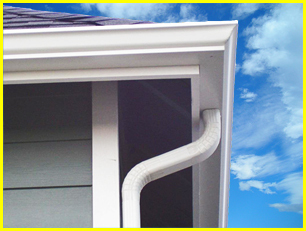 There are several different types of rain gutters available on the market. Metal gutters have been the most widely used in the past. Plastic gutters are also available. These two types are available at most big brick and mortar home improvement stores, but are labor intensive to install and require constant maintenance year after year. Installation is recommended by more than one person. Each 10 foot section of gutter needs to be adhered to the next gutter section with a connector piece and either resin or adhesive. Over a short time these connections can leak under the constant weathering of the elements. The most effective and most maintenance free gutters are seamless gutters. The advantages of installing a seamless gutters are just that, seamless. These rain gutters are shaped and molded from a continuous rolled sheet of metal on-site in order to achieve a precise fit and because they are seamless, are not prone to leaks as the afore mentioned connector pieces. Properly mounted, seamless gutters will long outlast the do-it-yourself gutter assembly and require far less maintenance ensuring a hassle free drainage system for years to come.